So, I’ve been a big blob on catching up to some email responses during the last 6 weeks or so. 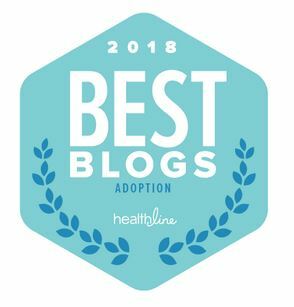 Fellow blogger BetterNotBroken was incredibly kind in nominating me for a Sisterhood of the World Bloggers Award last month. I’ve mentioned a few times that this blog space has really evolved over the year and a half I’ve been blogging. I guess I should’ve expected that given all of the crazy life changes I have attempted to chronicle here. It’s has been a great outlet for me—for better or worse at times—and blogging has helped me sift through lots of stuff, just um, stuff! I find it intriguing that people want to read about my journey and unbelievably flattering that someone would think this blog was worth any kind of recognition. So, the kicker with these awards if you have to answer a bunch of questions. The Sisterhood award comes with 10 questions—which is why it got put on the back burner <smile!>. Thank you for the recognition BetterNotBroken! Be sure to go check out her blog! What has been your best moment in life? I bet you thought it would be adopting Hope, right? Actually that rates really, really high, but getting my degree edges it out a wee bit. I knew I always wanted to get a doctorate, but I chose to pursue it at the time I did as an excuse to get out of a relationship that was absurdly unhealthy for me. It was a lifelong goal that also became an exit strategy for an emotionally, abusive relationship. So strutting across that stage four years later…yeah that was so BOSS! It was the fulfillment of a lifelong dream and a reminder that I got out and didn’t just survive–I thrived! If I hadn’t started the program with the end in sight, Hope would never have come into my life. What one thing do you wish you could do if you could? I wish I could manipulate time. Speed things up, slow things down, rewind, skip. Who is your greatest mentor who has inspired you the most? Gosh I have a righteous pantheon of folks whom I consider mentors. Each have had such meaningful impacts on my life in different, incomparable ways. I don’t think I want to sift through it all. Different folks are associated with major events in my life, but, even those would make up a sizable group. What is your greatest regret in life that you would change if you could turn back the hands of time? Name the greatest book/film you have ever read/seen? The book that comes to mind…not sure if it was the greatest, more like my most impactful…is Richard Wright’s Native Son, published in 1940. It was the first piece of literature that meaningfully introduced me to the pathology that poverty and racism collude to create in this world. My heart breaks because I see stories like Bigger Thomas in the news 75 years after that character was introduced into our psyche. Things have changed but not as much as we care to admit. What is the most embarrassing moment you have experienced? I was giving a speech in a suit that was too small (#dontjudgeme #youknowyouvedoneittoo), I had to pee and I busted my pants on the way to the podium while trying to inconspicuously do the pee pee dance. I slayed that 45 minute speech and tried to run skitter off during the ovation, while I gathered my pants around my waist, exited stage left and trotted off to the loo. Fantastic in my imagination; unrequited in reality. How do you deal with tough issues? Depends on the issue and its relative toughness. Little prayer, some exercise, some wine (solo cup sized portion), potentially some yelling, some yoga, some heavy breathing, some writing, some therapizing, some ativan, some sleep, some running, some gnashing of teeth, some wailing, some serious problem solving, and some tactical plan execution. Who is it that has touched your heart the most, ever? Hope in many ways but not exclusively. It’s hard sometimes to rate people in terms of their impact on your heart and head. Sometimes it’s just incomparable. I’ve had some great loves in my life romantic, platonic, professional, academic…they’ve left indelible stains on my heart, all of them. My darling Hope occupies the top spot right now. Thank you again, BetterNotBroken, for the nomination, much appreciated! So, I’d love to pass it on–no pressure folks (see how long it took me to get around to it)! Ladies, you all amaze me. You are such a gutsy bunch. How this thing works, of course, is that if you accept, you answer the same questions and make some nominations of your own. Thanks ladies for just being you and for writing and expanding my world. Thanks for also being support systems that are just out there in the universe, which happens to be a mad cool thing. This entry was posted on Wednesday, January 14th, 2015 at 10:34 pm	and posted in Other Stuff. You can follow any responses to this entry through the RSS 2.0 feed. A well written response! I like the answer for your first love. Congratulations on your nomination, thank you for accepting and best wishes for continued strength and grace. You are welcome. Thank you again for the nod. It’s just been crazy these last two months that I didn’t have the capacity to finish. It’s a fun exercise to think about these questions too! Peace and blessings! HAHA! You should have seen my face…. “hey, that’s the name of my blog.” Thank you very much lady! I’m so happy to be back. 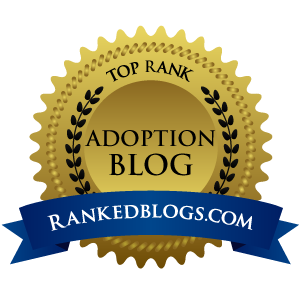 It was rough with my blog always being about foster care. I lost my motivation. SN: I love the imagery of you trying to high tail it out of there with that rip! Ha! It’s a true story, Puddin! Awful moment! Can’t wait to see what you put out there! Loving your new series, btw! I’m so honored! For reasons I’m sure you’ll understand (if you aren’t up to date — sorta sick lately), I may not repost this but I totally accept and am honored. I love reading your blog and have learned so much from you and you almost always make me laugh, even when what you’re going through is tough. When I log in and I see a new ABM post in the reader, all self-discipline of starting at the top and reading my way down is thrown away and I skip right to your post.